Let’s start with my first trip to a village called Fushe-Studën, to the north of Librazhd (remarkably it has a Facebook page). Davies and his team, along with Enver Hoxha, arrived here on Christmas Day 1943, as they attempted to break out of German encirclement. 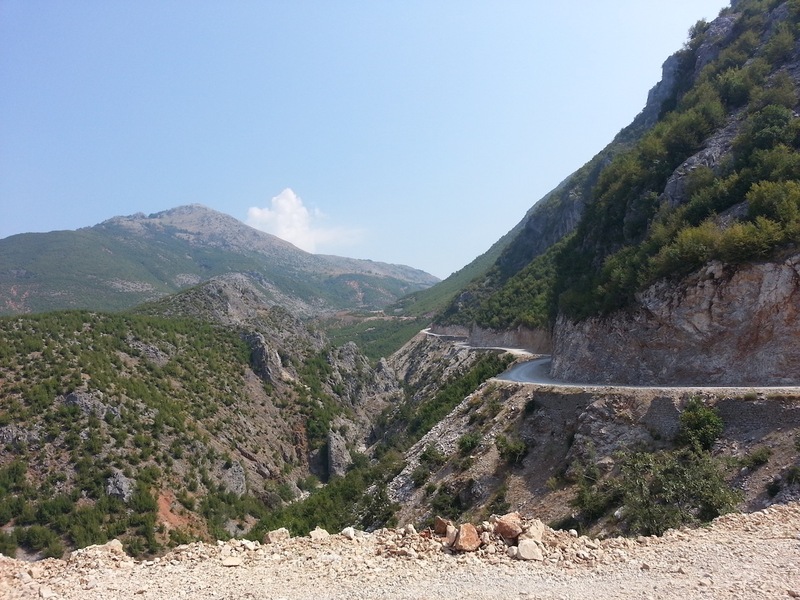 The main Librazhd-Dibër road (currently gravel but due for asphalt within a year or three; current traffic about a dozen vehicles an hour) runs through the village and, frankly, there’s not a more exposed spot to cross for 20km in either direction. The Brits were not happy, according to the diary kept by Davies’ second-in-command, Lt Col Arthur Nicholls, now held at the Imperial War Museum London. With good reason – the party was seen, and came under fire as they walked the trail up the mountains on the other side of the road. 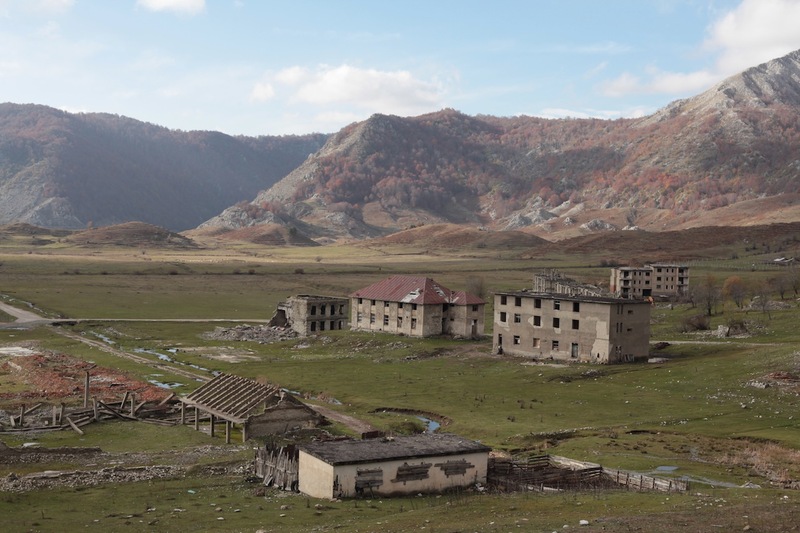 They went off-piste, and ended up spending a freezing night at an altitude of about 1,800 metres, before being forced to turn back the way they came. Two weeks later Davies was in the bag. 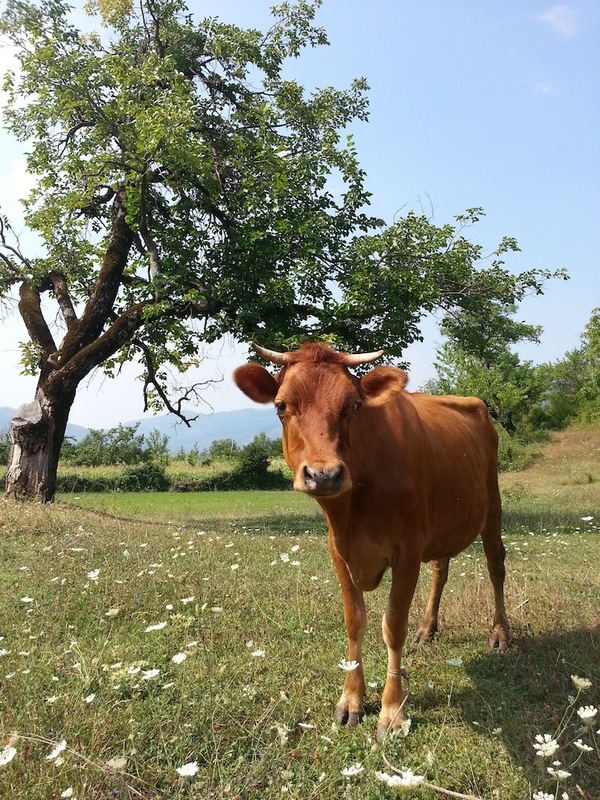 I’ve mentioned before that there’s a bit of an accommodation issue in the Çermenika region. Fushe-Studën, remarkably, has a hotel – Hotel Hasa (thanks to UNICEF honcho Detlef who blogs at Palm Tree Productions for tipping me off). So I decided to stay two nights. If the hotel was any good, I figured, it’d be an interesting option when the trek happens for real. 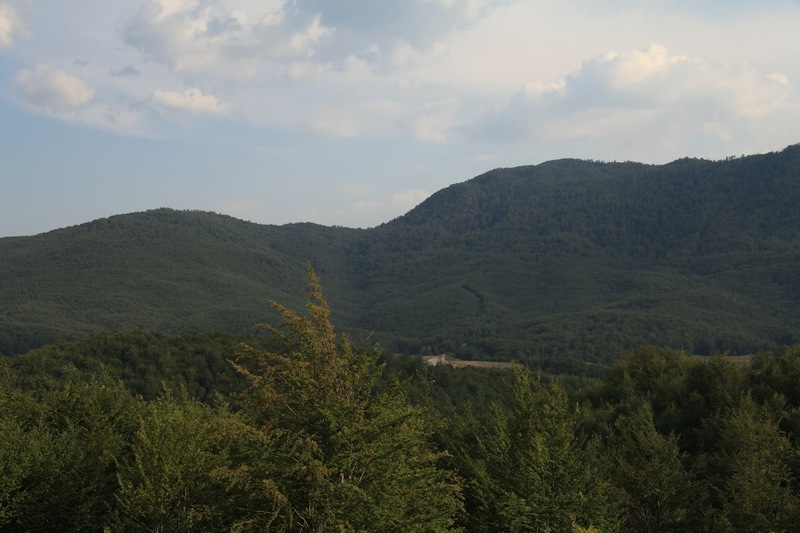 Well, the location isn’t bad – Fushe-Studën is right on the edge of the Shebenik-Jabllanice National Park, which stretches to the border with Macedonia to the east. The park is beautiful (pictures to follow in a few posts) and has forests in which lurk brown bears, grey wolves and the famously elusive European lynx. As for the hotel… Well, it was a mixed experience. 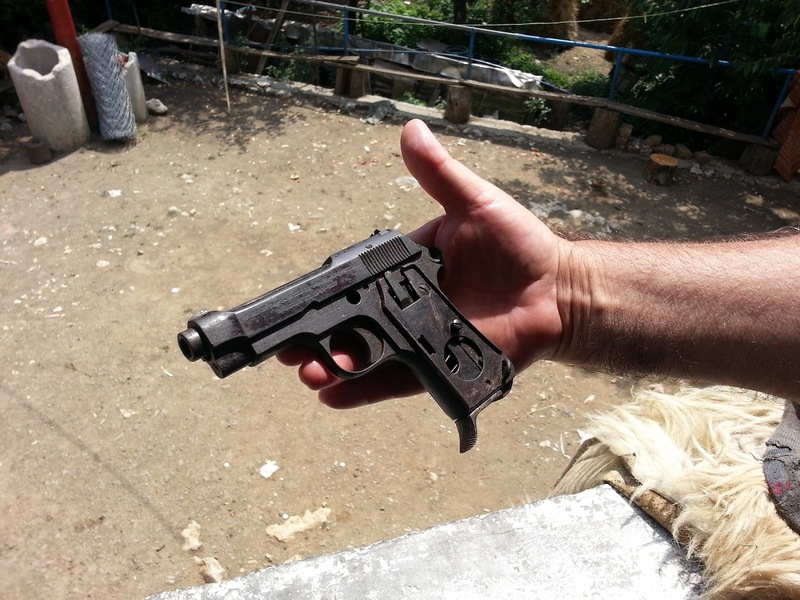 The owner, the eponymous Hasa, is living the Albanian dream – he owns a gas station, a coffee shop, a restaurant and a hotel. It doesn’t get better than that. But he’s not going to be profiled in Condé Nast Traveller any time soon. The room itself was clean (though a trifle bizarre in layout and more than a trifle brown), the bathroom less so. In fact whatever had last been deposited in the loo had clearly tried to climb up the side of the pan in a forlorn effort to escape before finally losing its battle with the flush. A few spots of congealed dark yellow urine had been left on the seat as an artful flourish. Of hot water there was none. What there was, was a lot of puzzlement from the usual collection of espresso-and-raki drinking men in Hasa’s coffee bar as to what I, a tourist, was doing in Fushe-Studën. 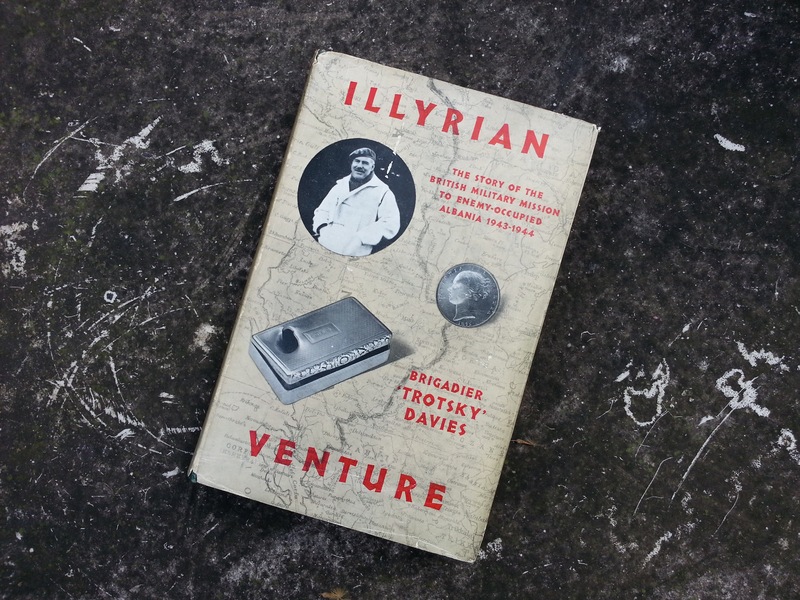 Luckily I had a rare Albanian copy of Davies’ memoir, Illyrian Venture, which brought some clarity to the situation. 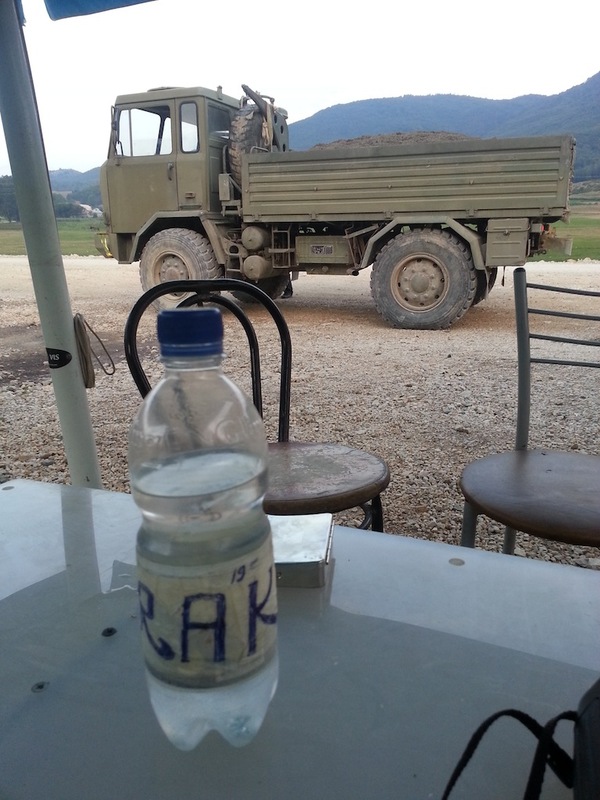 Raki was poured and the jokes began as to who was a communist and who a Ballist (Albanian nationalists, mostly liquidated after the war by Enver Hoxha). 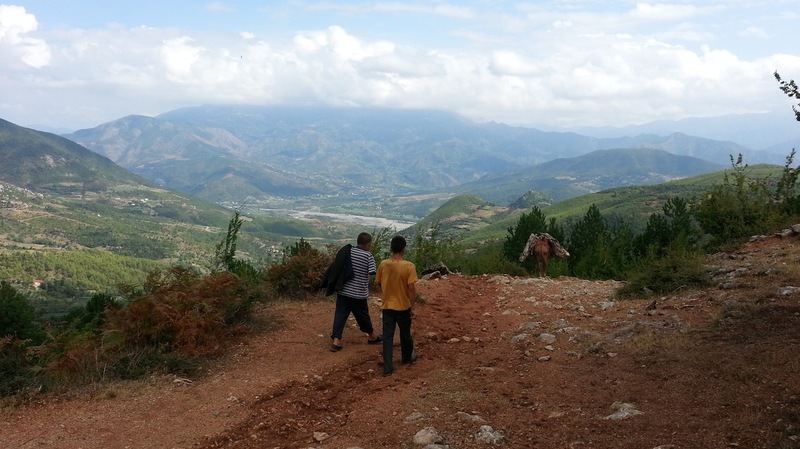 The idea of walking for pleasure, though, remains alien to 99.9% of Albanians. 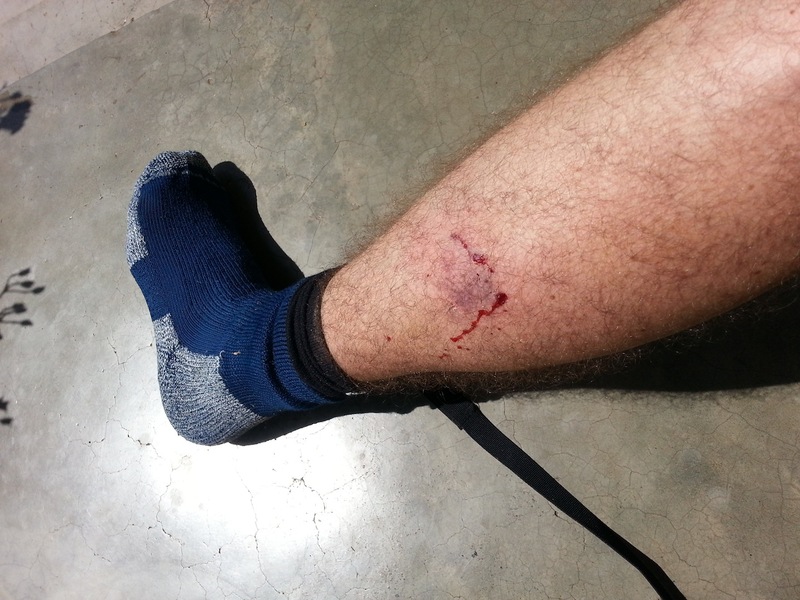 But walk I did. It was afternoon by now, so rather than strike out into the hills I circled the village and tried to get a sense of the landscape and figure out where Davies et al would have arrived from, and where they would have headed. Now, this is where I got a little bit confused. 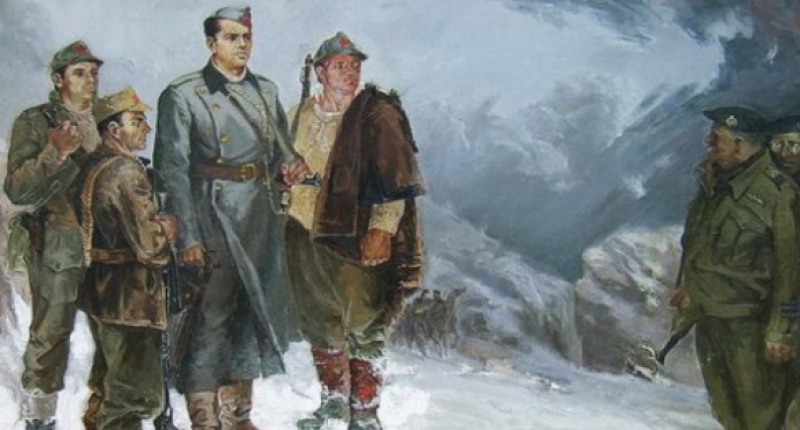 My main source for pinning down the route, as well as the diary kept by Nicholls, is Enver Hoxha’s memoir, The Anglo-American Threat to Albania. 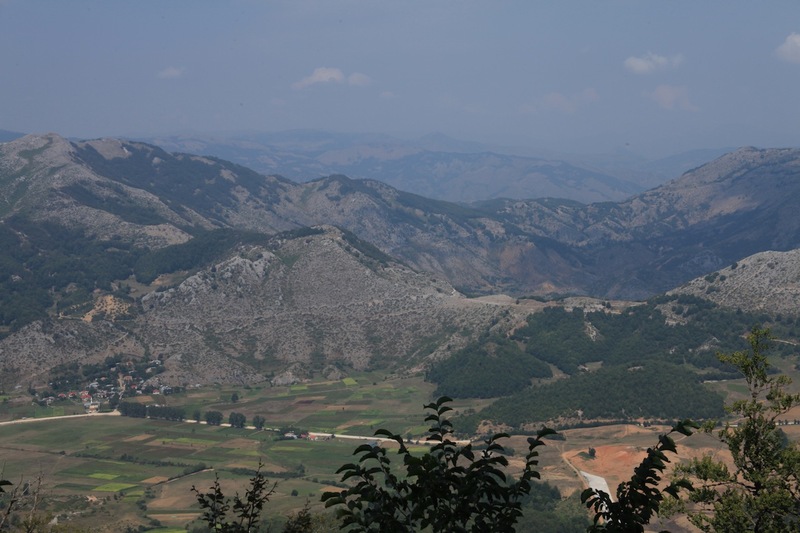 Hoxha, a city boy, did not know the Çermenika – in fact he apparently developed such an aversion to the area that he never visited again after he came to power. Some editions of Hoxha’s works include a map of the route. At the time of my visit I assumed the map was right, more or less. But when you walk around Fushe-Studën, it doesn’t make much sense. 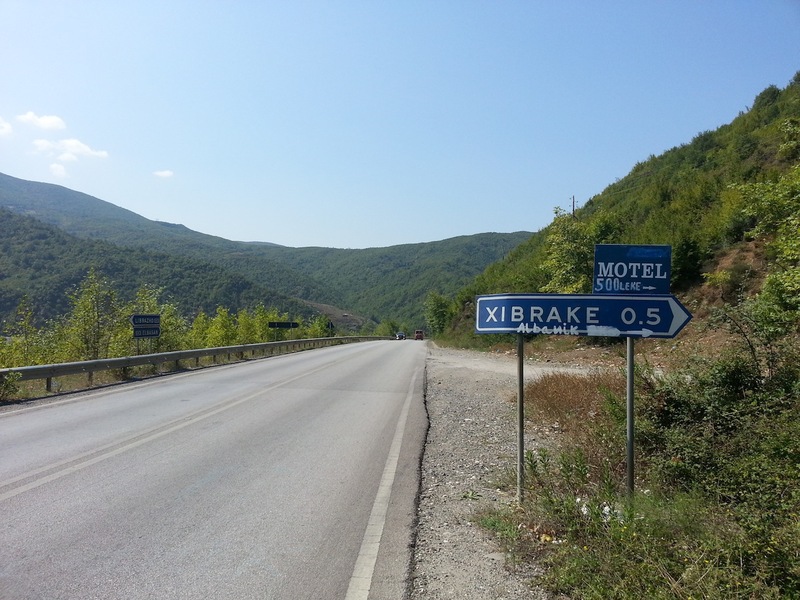 The communist-era map has the group reaching the village from Okshtun (which I visited a couple of posts ago), then making an anti-clockwise circuit as far as the village of Qarrishtë, on the other side of a tributary of the Shkumbini river. 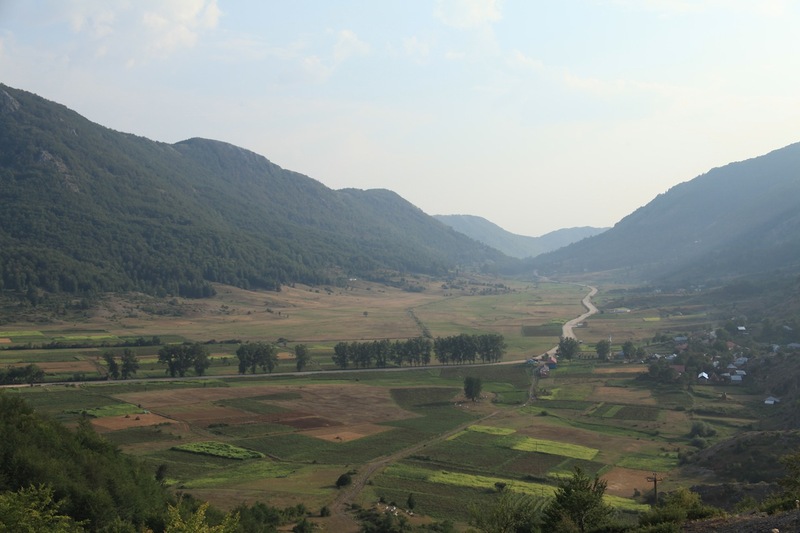 The Brits have the group arriving at a ridge above Fushe-Studën and making for a ‘saddle’ in the hills opposite before heading over the highest part of the mountain. No river is mentioned, not that this means they didn’t cross one. I’m 99% certain I stood on the same ridge as Davies. As far as I can see, there’s a shortlist of one, assuming you’ve arrived on the mule track from Okshtun. You can see the ‘saddle’ opposite. 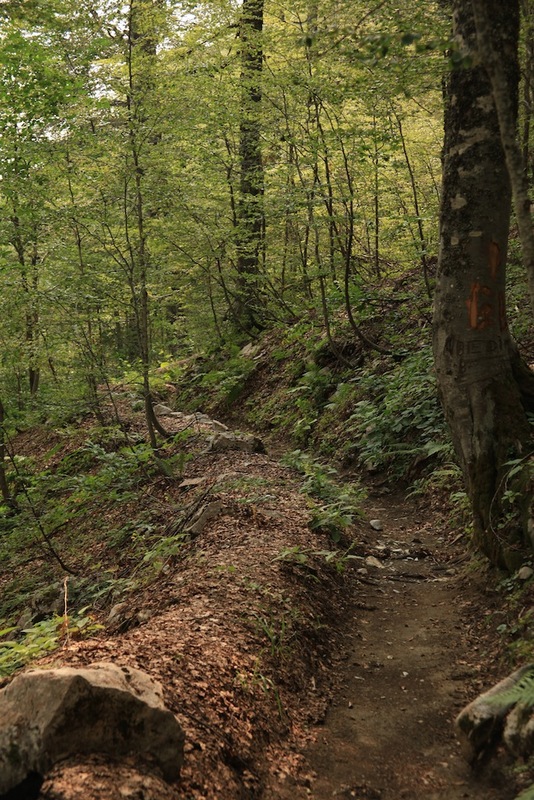 There’s even an old trail that leads up it (which I walked the following day). But the communist maps had the party striking off to the right (west, really), which would have them climbing the track over the hills behind the Hasa Hotel. The circuit would then have them re-crossing the road to the east. Trouble with this is Nicholls’ diary says when they re-cross the road they were forced to climb an almost impossibly steep mountain. 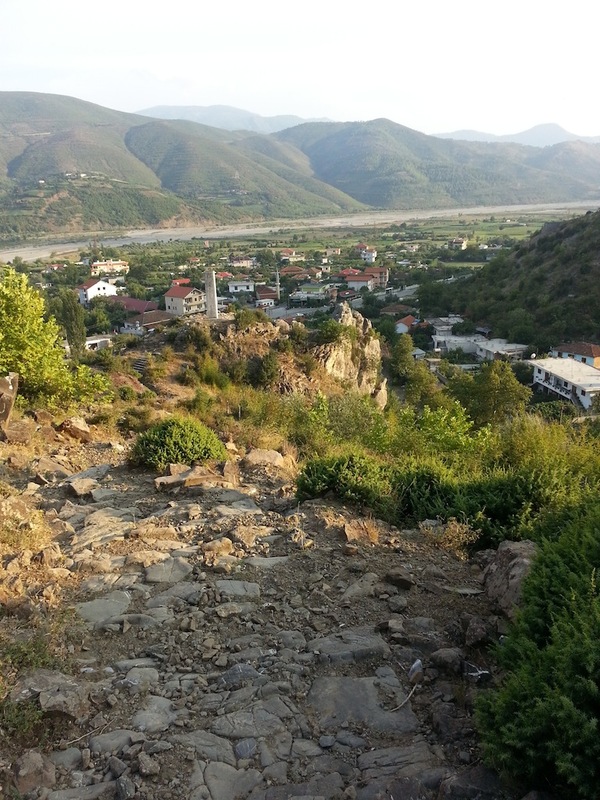 And the steep stuff is to the west of Fushe-Studën, not the east. Does this really matter? Well, it does to me. Thankfully, I’ve since been lucky enough to spend some quality time with the unpublished memoirs of Kadri Hoxha (no relation to Enver), a local partisan leader who was guiding the group. 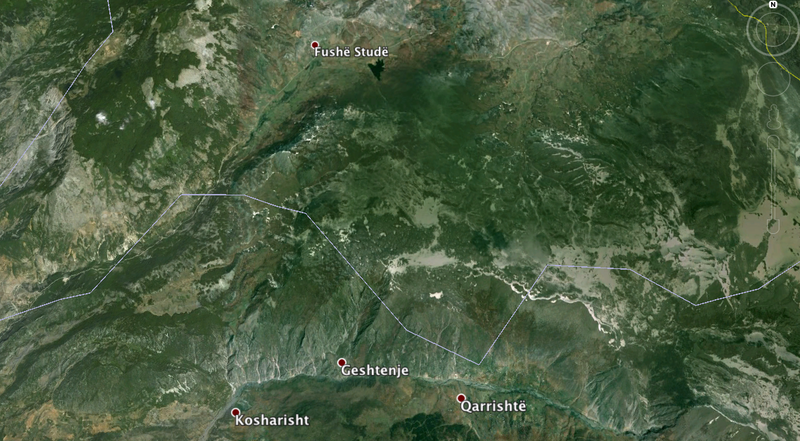 His beautifully rendered map has the group arriving at Fushe-Studën, and making a clockwise circuit. 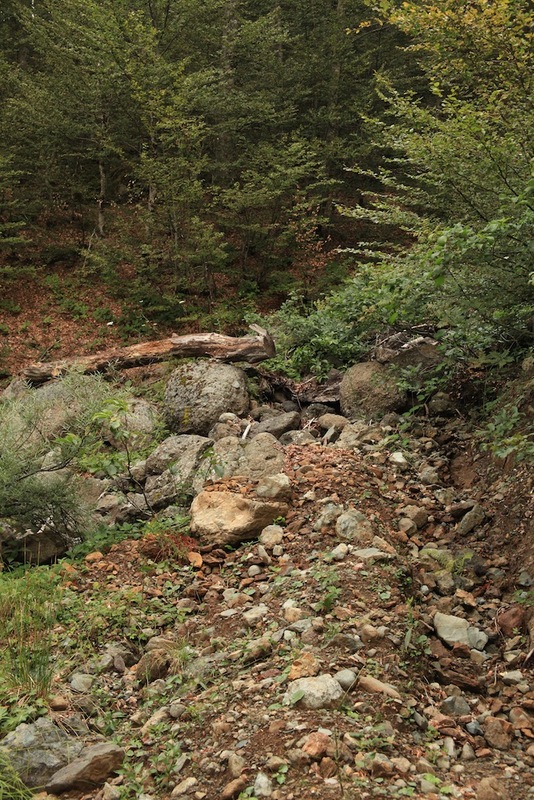 They never crossed the river; instead spending several freezing hours lost in the woods on the mountain that separates Fushe-Studën from the river. This ties in with the topography and the Nicholls diary. 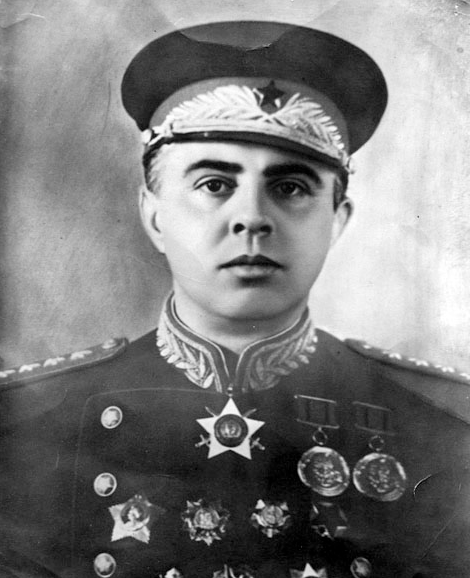 The simple explanation for the confusion is that Enver Hoxha’s memory was slightly dodgy after three decades of absolute power (he wrote The Anglo-American Threat in the Seventies). Why didn’t Enver’s minions ask Kadri’s advice? Probably because he spent 40 or so years after the war in the slammer as a suspected British spy. Anyway, with light fading and confusion reigning I headed back to the Hasa Hotel, looking forward to a big plate of mish (lamb), pilaf (rice) and një gotë verë të kuqe (a glass of red wine). “No mish,” Hasa told me quite definitely, after a bottle of red had been opened. “Peshk“. So peshk it was – turns out the Hasa Hotel’s redeeming feature are several large fish tanks fed by a fresh-water spring. 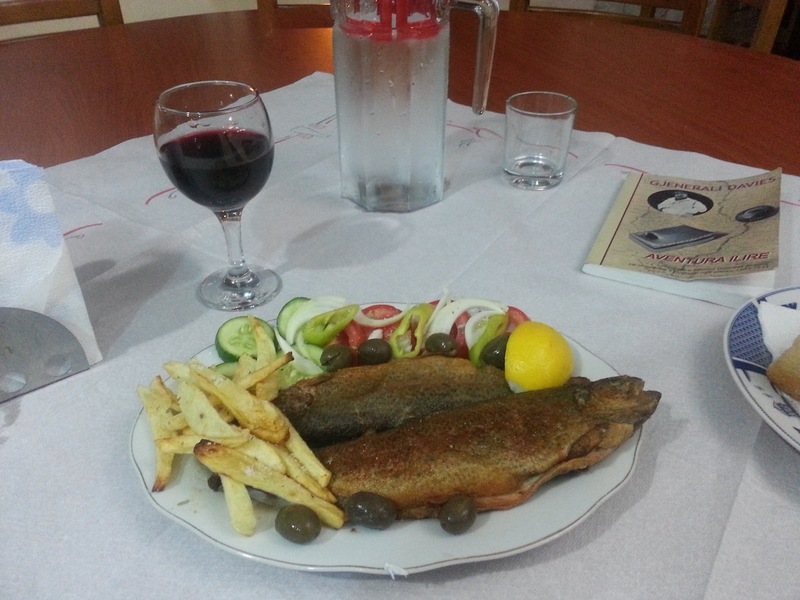 Hasa’s wife produced a truly delicious fish supper that would make put a smile on any tired trekker’s face. With strict instructions on the importance of bathroom hygiene, and an enquiry into the hot water situation, the Hasa Hotel might just find its way onto the Endurance Vile Trail itinerary after all. 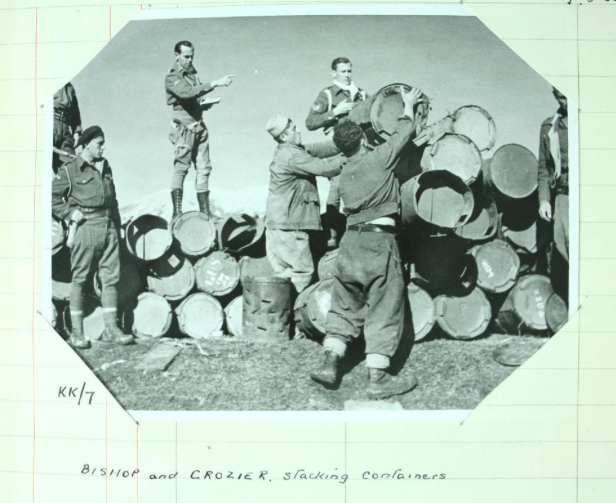 One of the frustrations in scouting the route taken by Brigadier ‘Trotksy’ Davies’ SPILLWAY mission of winter 1943/44 is that no one in Albania seems to have any familiarity with the area it took place in. Bizarre really, as it’s so close to Tirana. 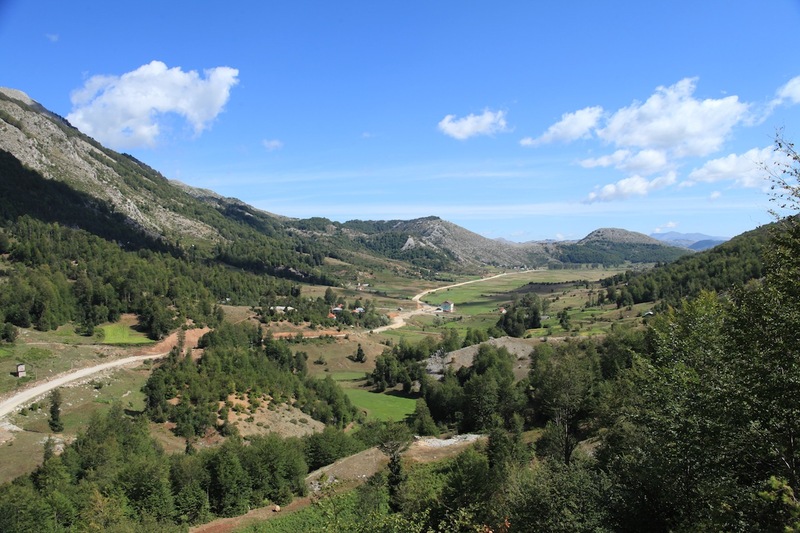 There’s no tourist infrastructure, no paved roads (until last year, when tarmac reached Shengjergj, a half-hour or more west of Biza, where Davies parachuted in) and no helpful websites. I had hoped to walk a fair stretch of the route in May, but the bizarre monsoon conditions put paid to that. 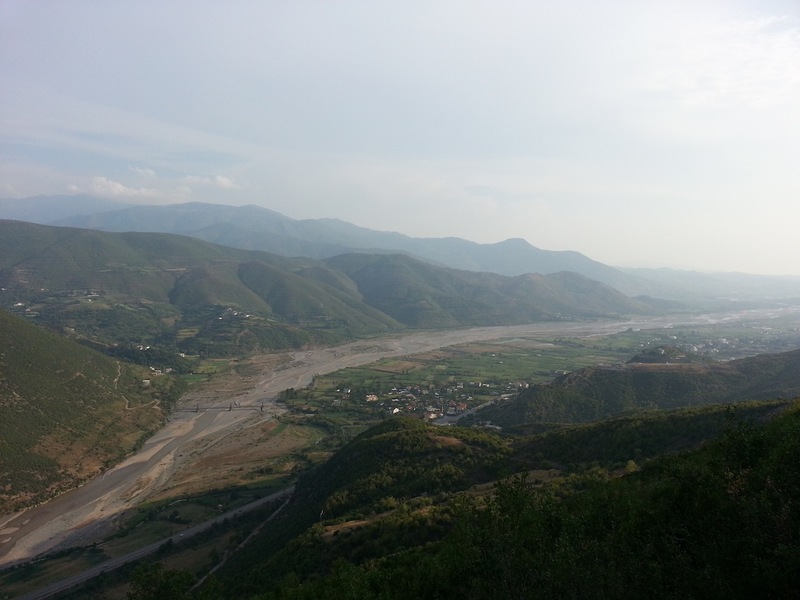 But it’s August now and I’m back in Albania, so last week I hired a 4×4 and went in search of two key villages, Okshtun and Kostenje. Normally on a trip like this I’d have my partner-in-crime, Elton Caushi of Albaniantrip with me, but his wife Vilma has just given birth to a bouncing baby girl (Nina, congratulations to them both). Instead I roped in a recently graduated tourism student, Edwin Brovina, to translate. 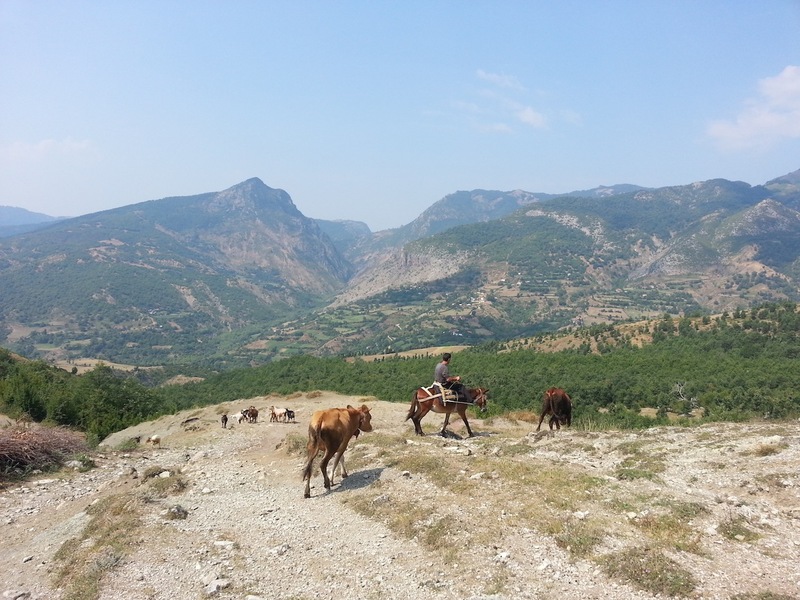 We headed to Librazhd, a six-donkey town about 25km east of Elbasan, and then struck out north. Due to a good dollop of EU cash, the road was brand-new and perfect for about 20km, then ended. 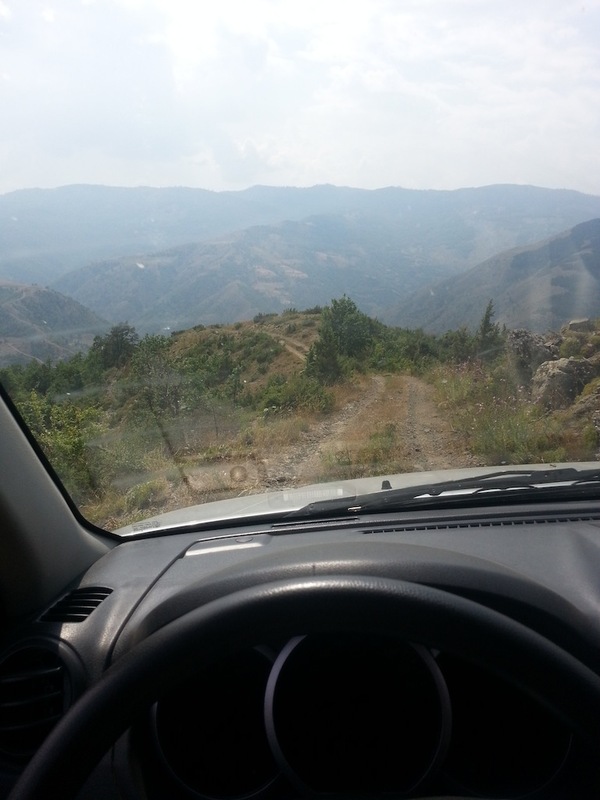 We drove on dirt for about three hours, till a couple of helpful chaps told us we had passed the Okshtun turn. We doubled back, found the turn (unsigned, of course) and bumped our way down it. 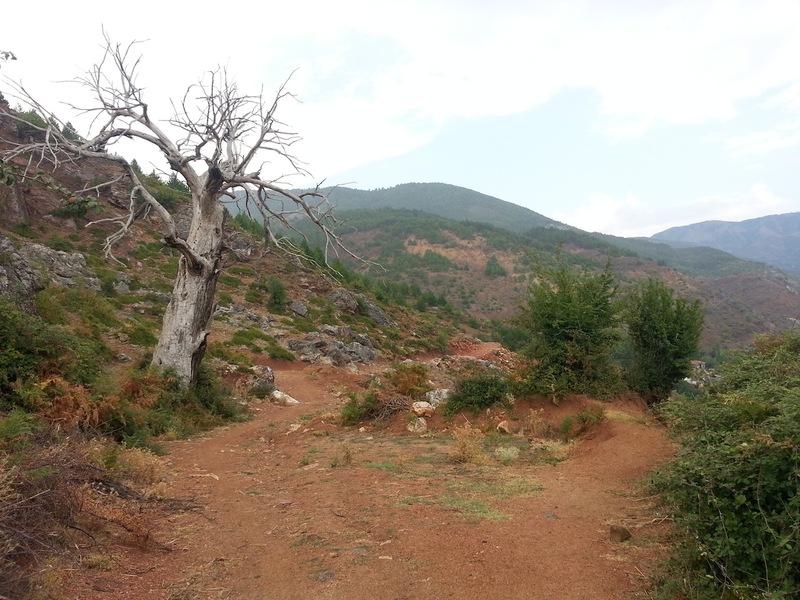 The track came to an end and we walked into Okshtun. 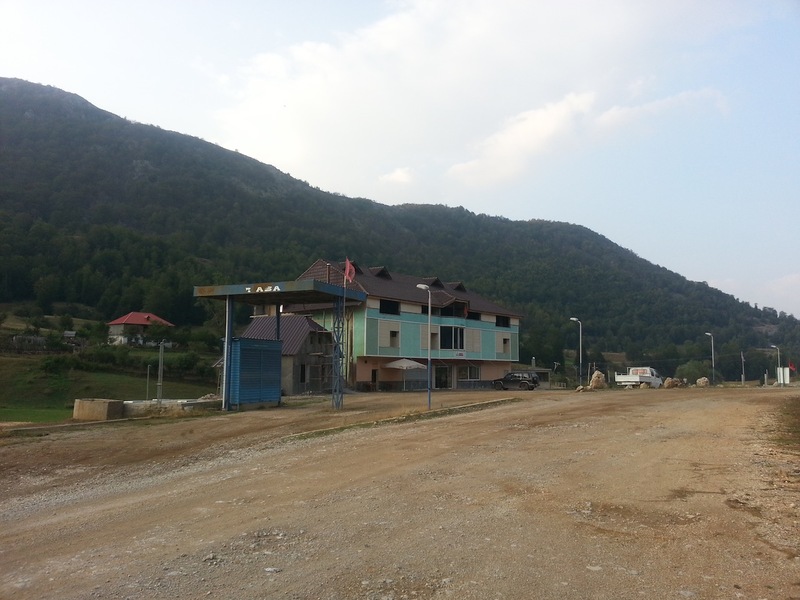 Only it turned out to be a village called Lejçan instead. We got a good welcome though, first from a tiny little old lady festooned with gold jewellery, who spoke a language Edwin couldn’t identify, let alone speak. 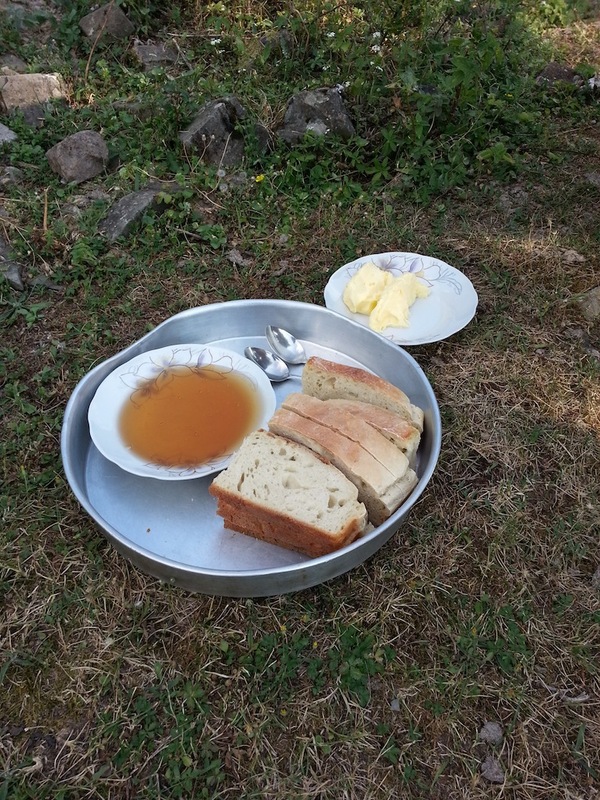 At the next house we met the Limoni family, who sat us down, gave us coffee and the inevitable raki, and explained the little old lady spoke Macedonian (the border’s a bit fluid here). They also gave us the temporary use of their son, Erjon, to guide us to Okshtun, which they assured us was in the next valley. Frustration No.2 of organising the ‘Endurance Vile Trail’ is that there aren’t any professional-quality photos available to ‘sell’ the area to prospective trekkers. There still aren’t – I just took snaps on my mobile (you can see a gallery here). But take it from me, this is a lovely area. 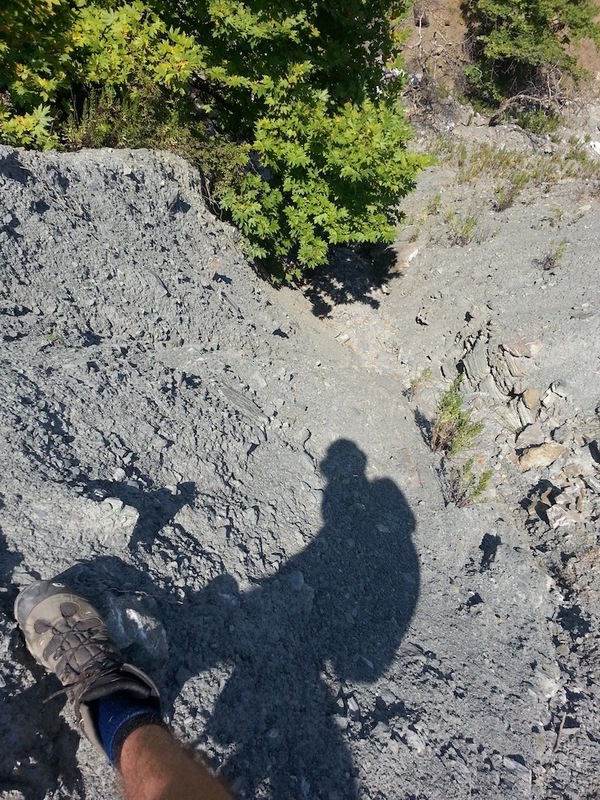 Okshtun is about a half-hour from the main (gravel) road, down a seriously underused dirt track. 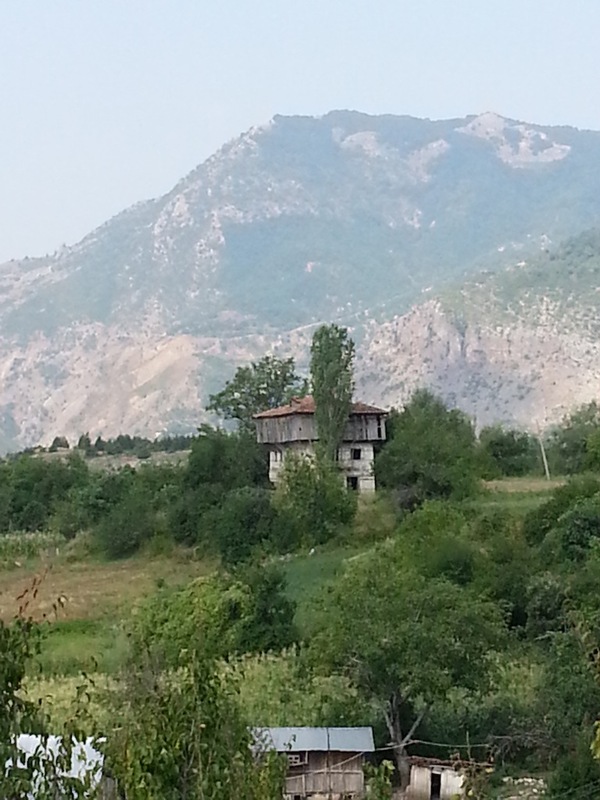 A few old stone houses clinging to the slopes of a fertile, green valley. It used to be home to over 100 families, apparently, but now there are just seven or so. We parked up when the track ended and were greeted by a bemused young man wearing just a pair of underpants (it is August, after all). Not unnaturally, he was curious as to why we had come. Edwin explained I was a tourist interested in Enver Hoxha and General Davies. Erblin (for that was his name) did a double take then jokingly punched the air – apparently I was the first tourist to visit Okshtun. 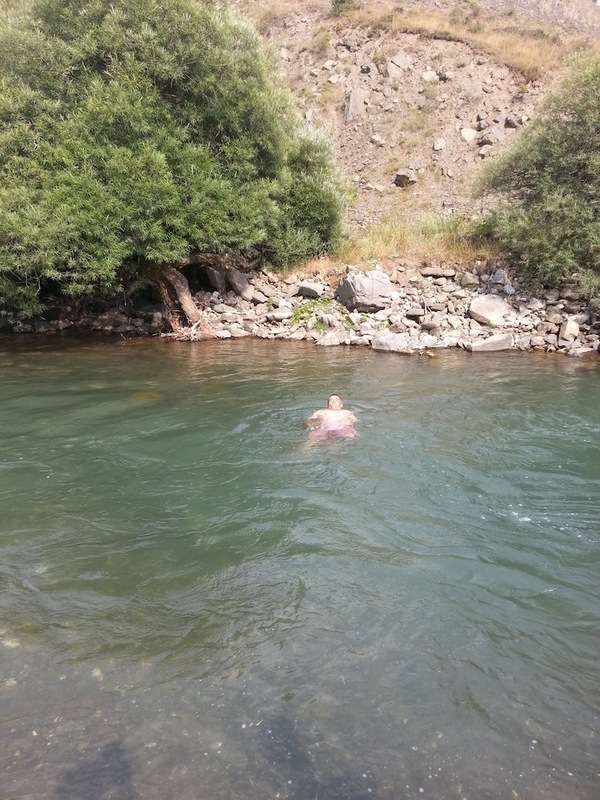 Erblin was soon joined by his father, Refek, who sat us down and proved himself the consummate host, taking us down to the river for a welcome swim. Refek, though, didn’t know anything about the war. Disappointing, as elsewhere in these parts there’s a strong corporate memory. Davies came here twice, in fact, the first time on Christmas Eve 1943, for one night, then returned for an extended stay from 27 December to 2 January 1944. 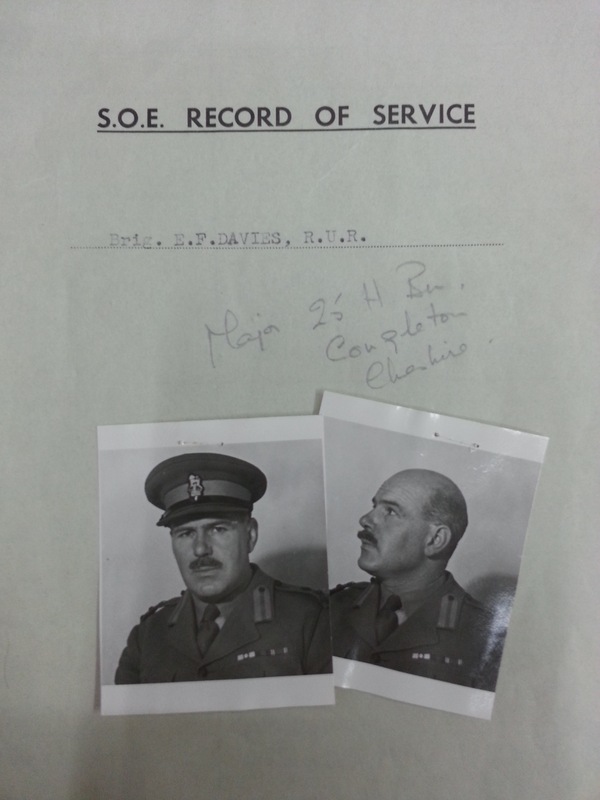 He and his team were in a bad way by then – his second-in-command, Lt Col Arthur Nicholls, was already suffering from the frostbite that was to contribute to his death a few weeks later. The diary Nicholls kept, against orders, notes that they enjoyed a delicious dish of chicken with nut sauce on Christmas Eve. Refek had 60 chickens though no nut sauce, and was keen for us to stay for a BBQ (and raki), but we had to cry off as we didn’t fancy negotiating the roads at night. A shame – Refek struck us as a man who’d know how to do a mean BBQ. 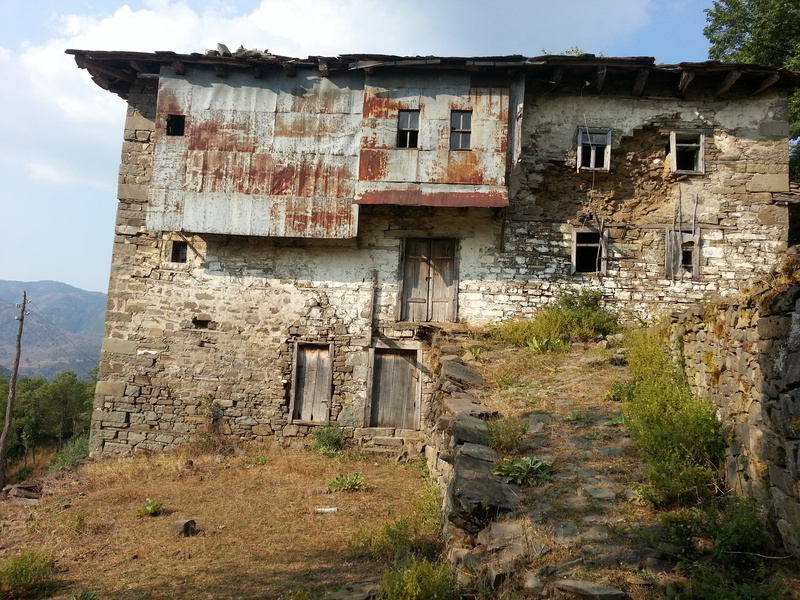 As you’ll see from the photos, the houses in Okshtun are pretty ropey, so a home-stay is off the agenda here. It’s a perfect place to camp, however, particularly with Refek toiling away over hot charcoal and Erblen pouring the raki. Night had fallen by the time we reached the base where we were to stay and our hosts had come out in the snow in the darkness to welcome us. They embraced us and took us inside. We took off our dripping coats and handed our rifles to the head of the house, who hung them on the wall, one beside the other. The small ante-room was warm. A great sense of satisfaction stole over us. The General watched with pleasure and curiosity how we embraced the people of the house, how we handed over our rifles, took off our boots and shoes at the entrance to the room, and he did his best to follow suit. 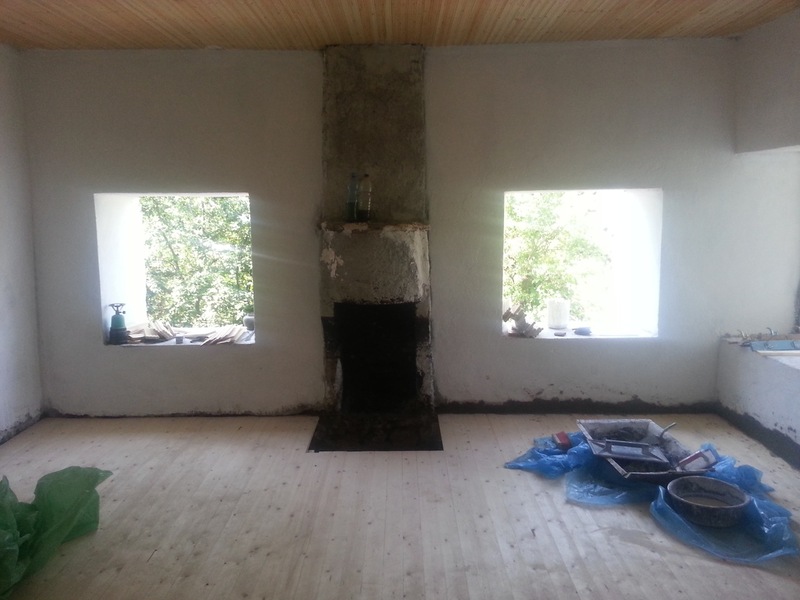 Our host opened the door of the big room with the fire-place and invited us in. Our host asked me where the General was from and what language he spoke. I introduced the General to him. At the head of the room there was a big fire-place, with a blazing fire which spread warmth and light from end to end. Two or three kerosene lamps had been lit and at the one end of the room, snow-white sheep-skin rugs had been laid out, with pillows in clean pillow-slips to rest on. In the middle of the room was a big Dibra carpet, while corncobs in regular rows like soldiers were hanging from the rafters over- head. Neither beams nor roof could be seen, only the corncobs glowing like gold in the light of the fire. Could this be the house in which the SPILLWAY mission enjoyed chicken with nut sauce? And spread their fare; though homely all they had. 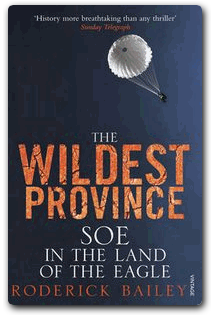 ‘In find your words very moving, Mr. Hoxha,’ the British General replied. ‘Byron has written about this generosity and hospitality of our people, too. 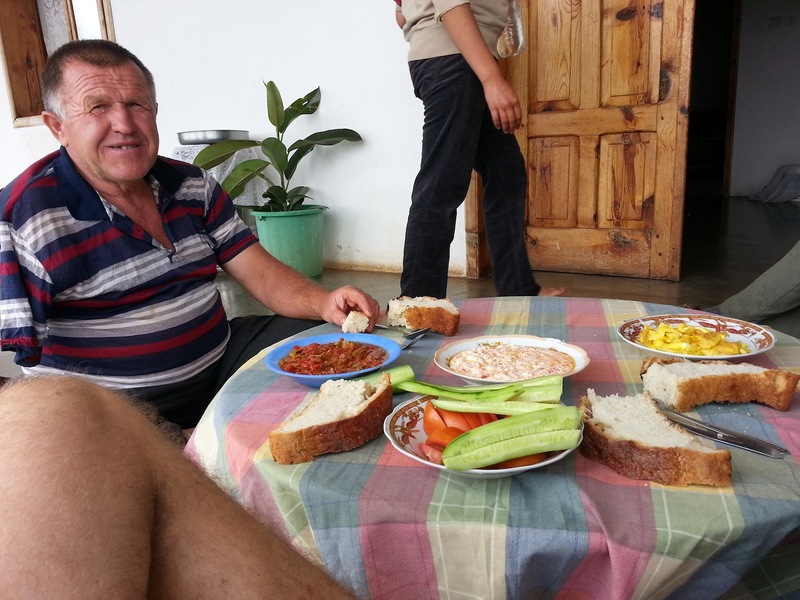 Somewhere he relates how, while he was travelling in Albania and night overtook him in a village, he was obliged to seek shelter in a house where he was welcomed with all the good things they had. Before he left the next day, Byron brought out his money to pay. His host said indignantly: ‘No, the Albanian does not want money but friends.’ And Byron remained a true friend of the Albanians. 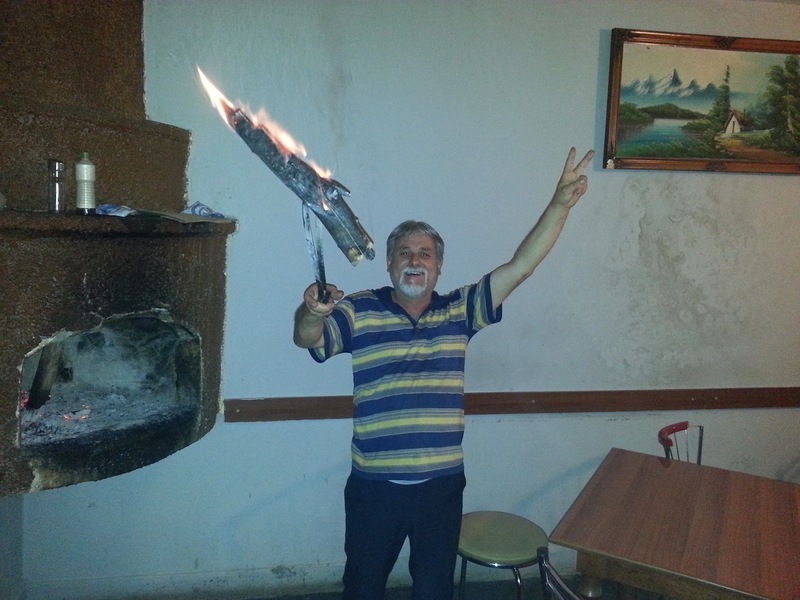 ‘We’re in a village, the inhabitants of which have fought for freedom since ancient times. 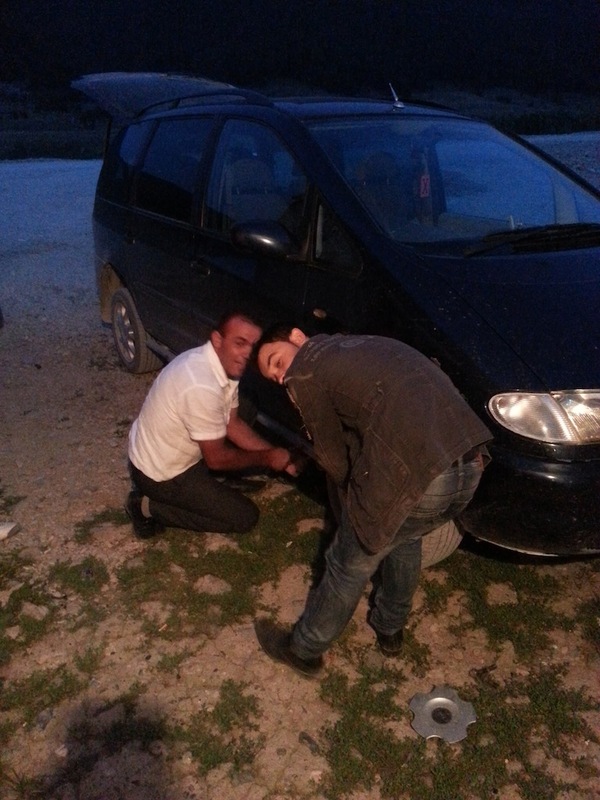 They are poor, but when friends and comrades come they do everything possible to avoid being disgraced. This is how our whole people preserve the traditions of our ancestors, General,’ I told him. ‘What an astonishing culture you have! What politeness!’ exclaimed the General. Nicholls’ version is, ahem, slightly different. Sadly I’m going to have to postpone September’s proposed trek in the footsteps of Brigadier ‘Trotsky’ Davies’ SPILLWAY mission till summer 2014. The reasons for this are multiple, and too boring to go into, but essentially we need more time to market the concept. There are no shortage of coach tours for military history buffs, but the Endurance Vile Trail, which is a much more physically demanding offer, occupies a very small niche indeed. Hopefully not too small though. 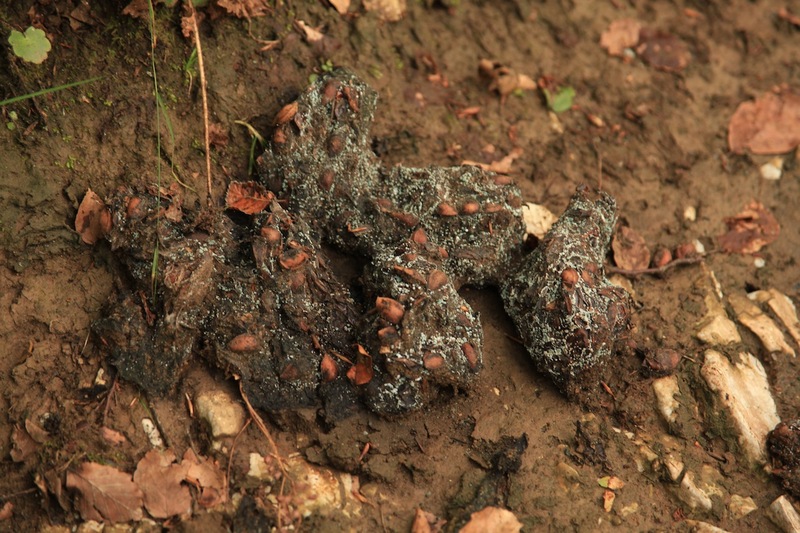 Obviously, this blog will remain the first source of information on the Trail. 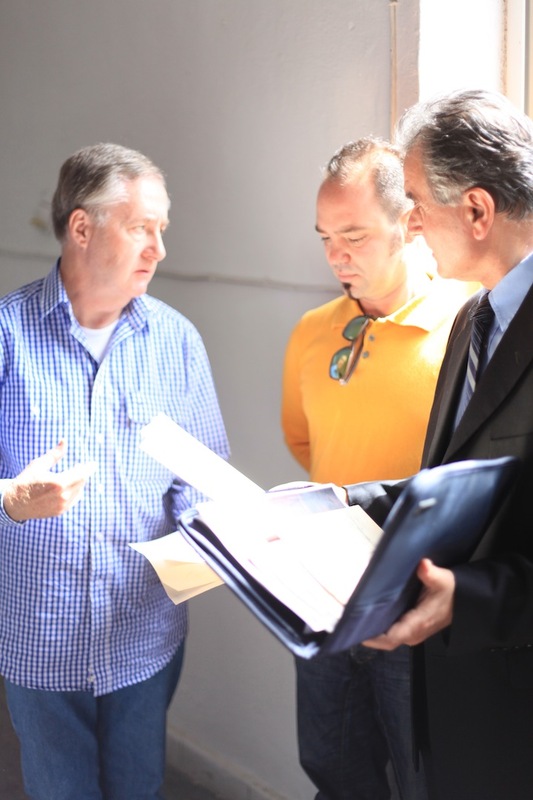 Both Dr Rod Bailey and myself are keen to make it work. It really will be an amazing experience when it happens (and it will). 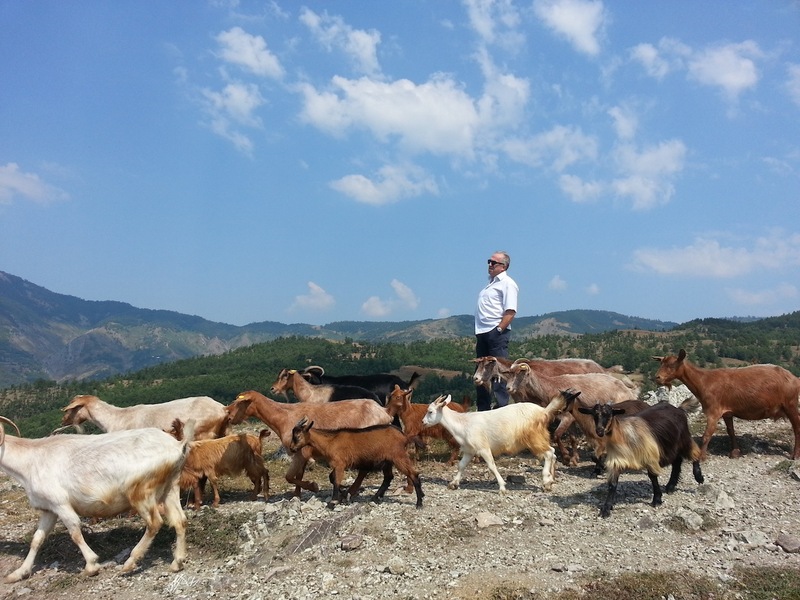 In the meantime, if you’re interested in travelling to Albania independently and have an interest in the Special Operations Executive’s activities in the country, don’t hesitate to get in touch with either myself or Elton at Albaniantrip for advice.